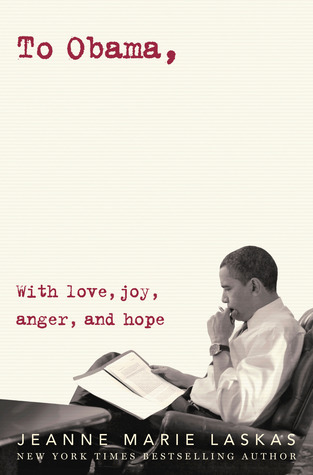 Read this book, RIGHT NOW. It's one of those stories I want to pass out to everyone I know and don't know. I want to stand at the door inside my grocery store and greet people by handing them a copy of Attachments and proceeding with, "Have a nice day! Feel free to read while you shop!". Yes, it makes me want to do weird, creepy things because it's THAT GOOD. How has this book been hiding from me and I am just now discovering it?! How has this author not been on my radar until recently? I vowed to read anything by Rainbow Rowell after falling in love with Eleanor and Park. 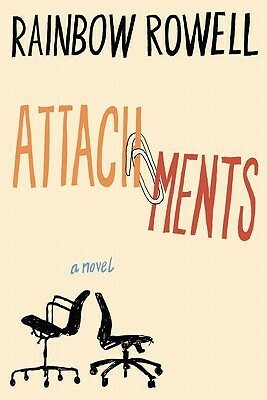 Well, Attachments has confirmed that vow and left me feeling antsy for her next novel. Beth and Jennifer work for the local newspaper. While they're busy writing up articles on the town's news, they're even more busy by sharing personal conversations through their work's office email. Usually this is frowned upon, and usually it's caught by the IT security team, and usually it's put to a stop. However, since Lincoln is the new IT security guy, he's found Beth and Jennifer's emails to be endearing, comical, and intriguing. What started out as a job to pass the time (very slowly, I might add), has become a form of entertainment for Lincoln. What started out as innocent evolves into something much deeper, though. The writing format for this novel is genius. The only narration we receive about Beth and Jennifer's lives is told through their emails. I felt like this was a perfect touch for the reader to really see what Lincoln was seeing. All of this information is coming at us in such a realistic, HYSTERICAL way. I found myself laughing (out loud!) quite a few times. Both Beth and Jennifer reminded me a lot of the conversations I have between my girl friends (through our personal email accounts though, ha!). The other side shows Lincoln's life, both behind the IT desk at work, and at home. His story begins to unfold and we start to see the reasons why he's grasping on to Beth and Jennifer's emails so tightly. For they are breathing life into what has become a lifeless world for him. As the emails continue, Beth begins to write to Jennifer about the New Cute Guy at work. You can only imagine what sort of banter is going on between these two women. The comical language between them kept me flipping the pages because I may or may not have had similar conversations with my own friends. I was definitely identifying and connecting to this part of the story. Lincoln's intrigue begins to shift and focus on Beth. Their emails aren't just playing out like a soap opera drama anymore, he's beginning to feel real feelings for a woman he's never met (has never even seen either!). I loved the dynamic of this situation. Beth has a crush, physically, for a man she does not know. And here's Lincoln, falling for a woman's words, thoughts, and expressions; yet never knowing what she looks like. There were so many elements that just kept building and building in this novel. I kept waiting for them both to realize the truth, and not only come clean with each other, but also to be honest with themselves. Rainbow Rowell has the ability to create a simple, yet entertaining and endearing storyline that engages the reader to a point where putting down the book is just impossible. Her writing style inspires me in my own want to write. She can take secondary characters and give them a spotlight on the stage, but never shining too bright to attract away from the main plot. It's safe to say I have grown a serious attachment to Attachments. Since I borrowed this book from the library, I will definitely be purchasing a copy of my own so that I can read it again. I have proclaimed this novel to be one of the best I've read this year and I stand by that statement 100%! Yay! I have so much love for this book, it's one I recommend all the time. I really can't think of any other that quite hits this tone. And while I normally shy away tron near-history settings, I loved the Y2K backdrop to this one. So glad you liked this! It was super cute :) I definitely had a lot of fun with it. This sounds really good! I love that it has a very unique premise, and one that I can definitely relate to. The whole sharing your personal life stories at work via email? Yeah, I do that. I think this is going to be a book I definitely enjoy! Wow, I am excited about this book! Great review, gonna find it and read it! Yay, so glad you liked this! I had a very similar response to Attachments and am waiting impatiently for Eleanor and Park to be released (not until 2013 in the U.S., alas!). What an interesting premise for a story! CREEPY, sure. But still. It's fiction :) Great review, G. Looks like I'll have some Rainbow Rowell reading to do in the future! "Yes, it makes me want to do weird, creepy things because it's THAT GOOD"